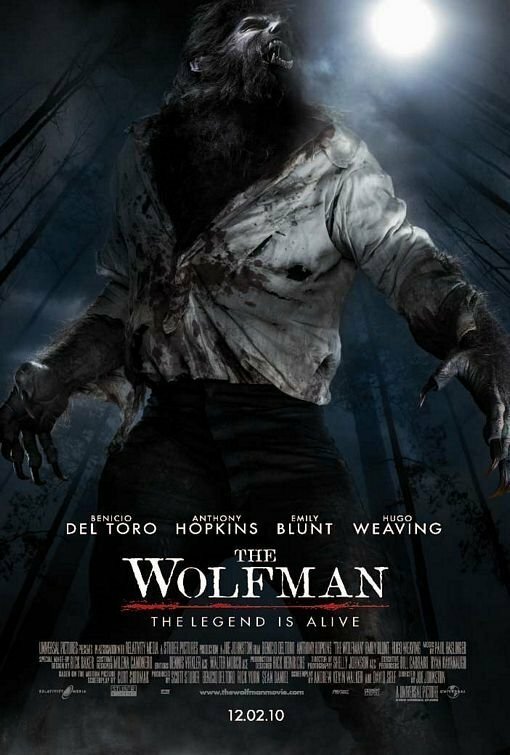 The Wolfman (2010). . HD Wallpaper and background images in the वेयरवोल्फ club tagged: the wolfman 2010 movie poster benicio del toro emily blunt anthony hopkins hugo weaving. This वेयरवोल्फ photo might contain हस्ताक्षर, पोस्टर, पाठ, चॉकबोर्ड, साइन, साइन इन करें, राइफल करनेवाला, राइफलमेन, and रायफलमैन.